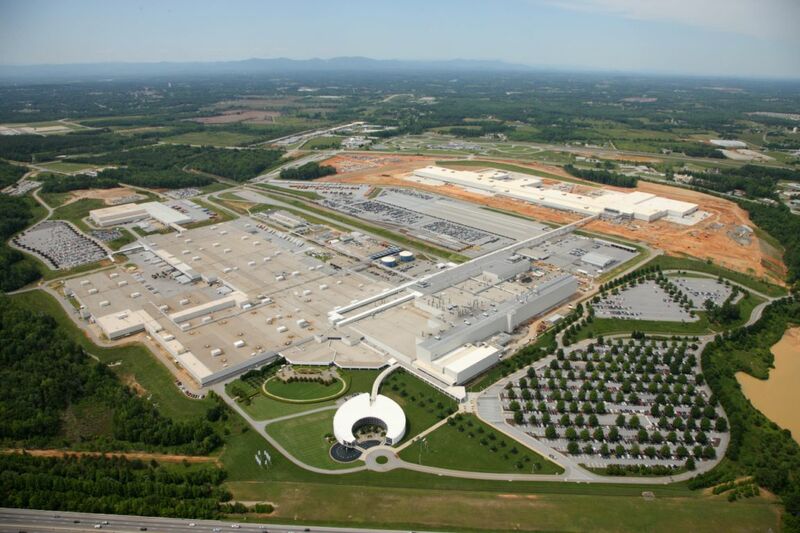 BMW announced today that the company will invest nearly $900 Million USD and add 300 new jobs in 2012 in its South Carolina plant. This announcement was made during a ceremony to commemorate a major production milestone – 2,000,000 vehicles have rolled off the assembly line since the company began U.S. production in 1994. Frank-Peter Arndt, BMW Group Board Member responsible for Production, revealed the company’s intention to expand its X-model family. He revealed that production of the new BMW X4 will occur at the Spartanburg plant, spurring significant investment and job creation necessary to prepare the facility for the new model. “Two million vehicles have prepared our team well to meet the new opportunities that lie ahead for our plant. We look forward to a new model with great anticipation. For nearly 20 years, this team has always proven their steadfast commitment to producing quality vehicles for our customers around the world,” remarked Josef Kerscher, President of BMW Manufacturing. With the addition of 300 new jobs this year the plant will raise production capacities up to 300,000 units. By the end of the year, the plant will employ nearly 7,500 people at its more than 4.0 million square foot facility. Since the original 1992 decision to build BMW’s only U.S. plant in South Carolina, today’s announcement brings BMW Group’s total investment in the state to nearly $6 Billion U.S. dollars and represents its largest, single investment to date in its South Carolina plant. In 2011, the plant produced 276,065 vehicles for over 130 markets around the world representing a 73% increase versus 2010. Seventy percent of the vehicles produced (192,813) were exported making BMW the largest automotive exporter to the non-NAFTA countries. Sales of the vehicles produced at the plant have met with continued high demand. According to Arndt, throughout the world, more that 117,000 X3’s were sold in 2011 representing a 156% growth of this vehicle versus its predecessor. The 2 millionth vehicle to roll off the line in Spartanburg was a Vermillion Red Metallic X3 xDrive35i driven by BMW Associate Terry Gardner, a 16-year BMW veteran. The vehicle featured Oyster Nevada interior and an M Sport Package. Accompanying the driver, were associates: Renita Williams, Trung Phan and Olga Yurchenko. These associates represent teams from each of the plant’s manufacturing technologies: Body, Paint and Assembly. While all vehicles are custom ordered prior to production, this symbolic vehicle will remain on display at the Spartanburg Plant to commemorate the milestone. Also making remarks at the milestone event were German Ambassador to the United States Peter Ammon, United States Congressman Trey Gowdy and Spartanburg County Council Chairman Jeffrey Horton. Since 1994, the plant has undergone four major expansions and produced 6 different BMW models and their variants (318i, Z3, Z4, X5, X6, X3). Employment has grown from 500 in 1994 to more than 7,000 today. For additional details and to apply for the new positions, visit www.bmwusfactory.com.